I can’t believe it’s been over two years since my last writing retreat. And it’s not for lack of trying. Life has been quite busy in the meantime and I’ve been doing a lot more traveling than I normally do. Anyway, I finally managed to go on a writing retreat in October. 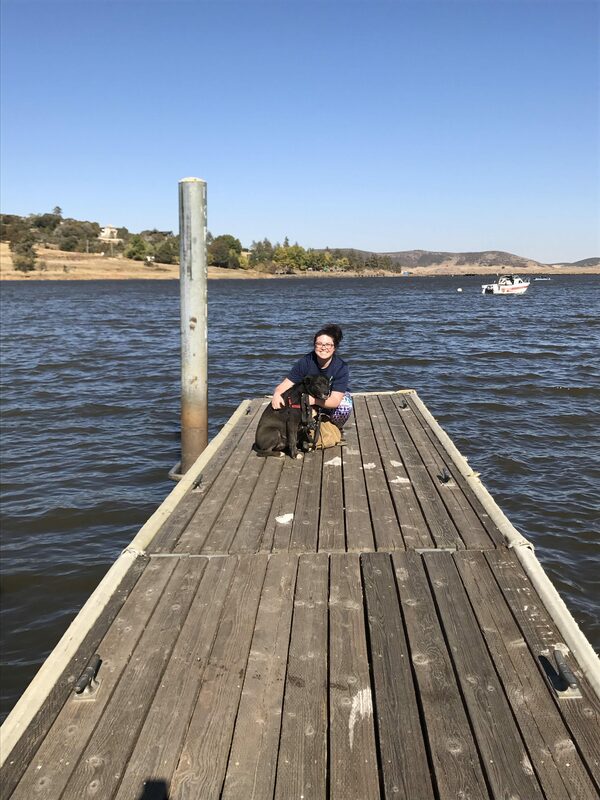 My friend and I ended up deciding to do a camping writing retreat (if you think that sounds crazy, you’re not alone, judging by the number of strange looks I got before the trip). But it totally worked! 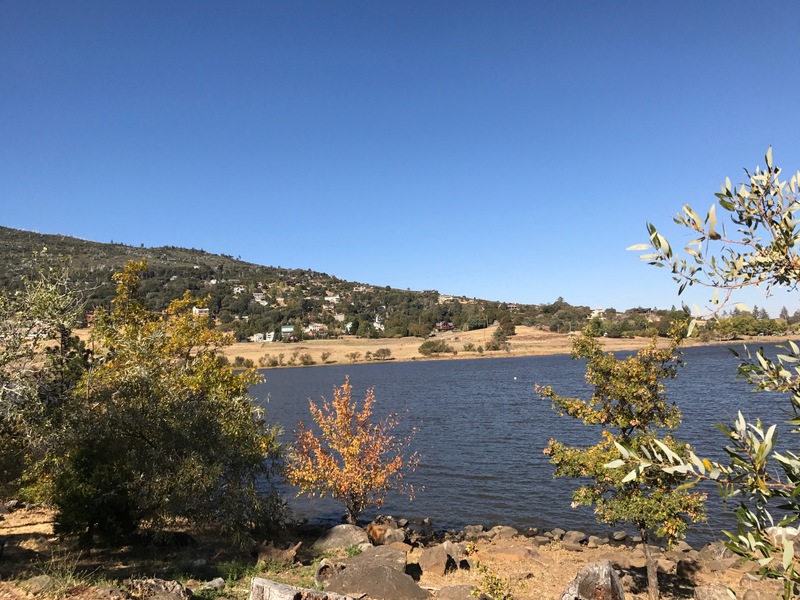 We packed a tent and supplies and drove up on Friday, through Ramona, past Julian, to our campsite near Lake Cuyamaca. 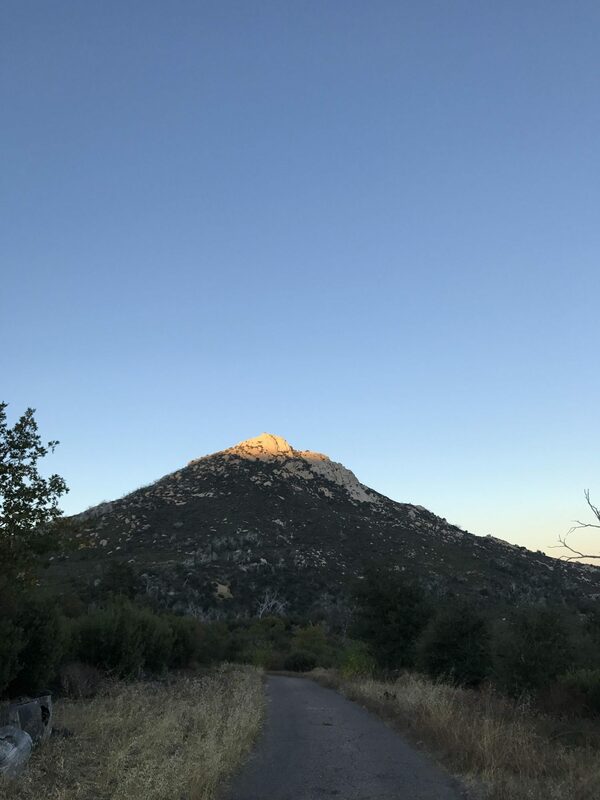 I’ve always enjoyed the beauty of the mountains surrounding Julian, but have never camped out that way, despite living in San Diego for nine years. Our campsite was quite popular and there were quite a few sites booked for the weekend. It definitely wasn’t the isolated experience I’ve had on other camping trips. I camped at Joshua Tree several years ago and I swear there were only two other people there the whole weekend. 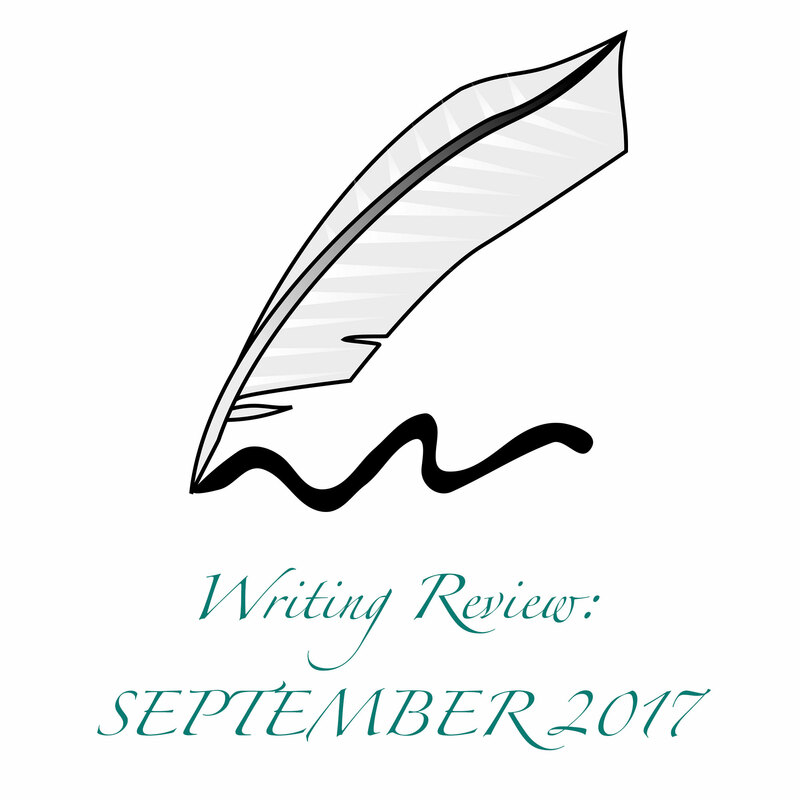 We didn’t get started on the actual writing until Saturday morning, but I ended up having one of the best writing sessions I’ve had in months. Really helped me break through the lack of confidence I’ve been suffering lately. And it brought me that much closer to finishing my Tesla book (yes, the SAME book I was working on at the last writing retreat). After writing for a bit, we decided to go to Julian to do a couple things. On the way, we learned of a fire burning at another campsite in Lake Cuyamaca, which made us understandably nervous. The fires were still burning in the California wine country and we were acutely aware even as we left San Diego, that fire danger was high. Luckily, we found out later that they were able to quickly get that fire under control and I don’t believe anyone was hurt. 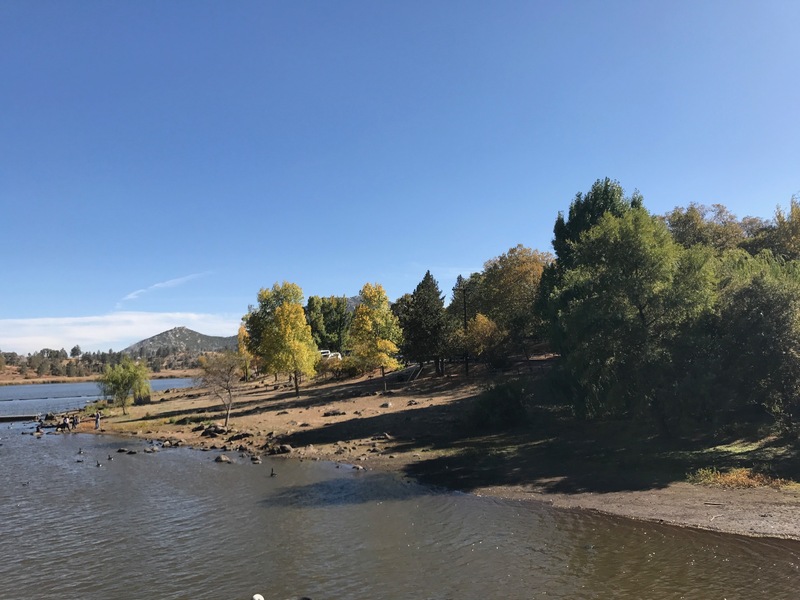 On the way to Julian, we stopped off at Lake Cuyamaca to look at the lake, take some pictures of the fall leaves, and torture my dog by walking him onto the dock. Zoom in on his face….Elliot was so not amused. In Julian, we visited our favorite little teahouse, Julian Tea and Cottage Arts, and of course, bought some tea! 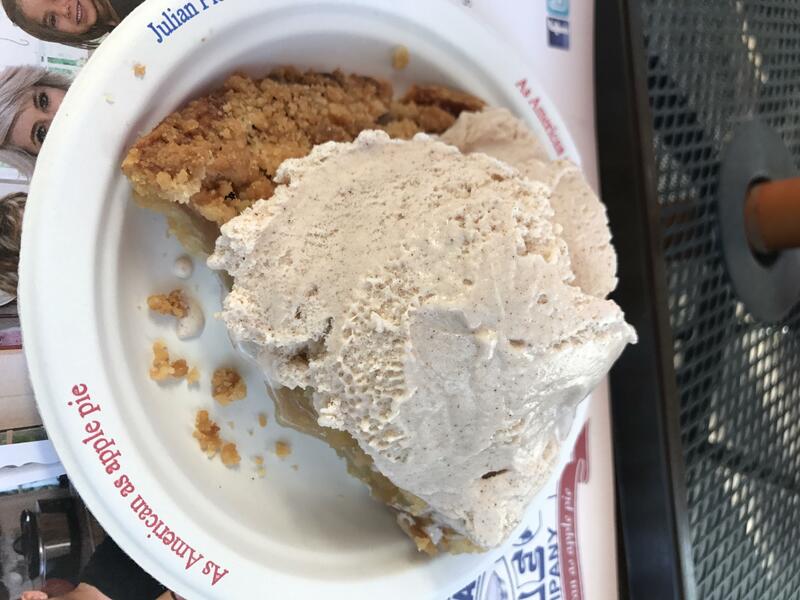 Then we went and waited in line to get a slice of the famous Julian pie and cinnamon ice cream before heading back to our campsite for a sunset walk around the campgrounds. Our campground was literally right across the road from Stonewall Peak. I was able to fit in a little more writing time before bed that night. The wind had been high all day and it continued after dark, making our attempts at a campfire both sketchy and sort of impossible. We tried to go to bed early, but our neighboring campers kept me up most of the night making sausages. We thought it was funny when they went to bed early, but I guess they were just napping in preparation to wake up and cook sausages around the campfire at midnight! I kid you not, that is what happened. In any case, I was able to rally myself the next morning and do a little more writing before heading back to San Diego to unpack and get ready for my trip to Colorado. 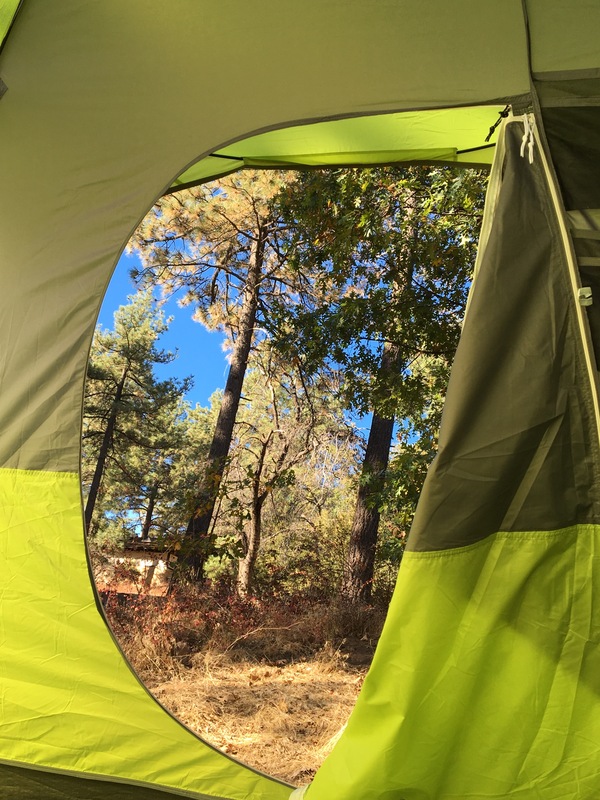 I’ll pause here to explain about a few of the discoveries I made about how a camping writing retreat can actually HELP your writing process. I’m writing historical fiction and if there’s one thing to be said about historical fiction, it’s mostly researching with a side of actual writing. I’m constantly thinking of things I need to look up/research/doublecheck and it does slow the process considerably. If you don’t know the answer to something offhand, you only have two choices: keep writing and look it up later or stop, drop, and research. With the Internet at my fingertips, I often do the later. But while we were camping, I couldn’t access the Internet unless I gave myself a hotspot and I didn’t want to run down my phone battery doing that. So I was forced to keep going and just write notes for myself and I actually think that is the better method. It took me a lot less time to go back and fact-check my work than it usually does to write and research at the same time. (In case you’re wondering, I don’t do just Internet research, I have quite a library of books that didn’t come along on the camping trip. But the Internet is a great place to start and many times I can find an answer for a small detail or locate the book I need to order if I need more in-depth information). I’ll be honest and say that I have written the vast majority of my books on my computer. Ever since I got my first laptop when I was fourteen, I have been in love with how quickly you can type down your racing thoughts without sacrificing legibility. I have poor handwriting to begin with so the later is an important consideration. Occasionally, I have written short passages in my phone’s notes or jotted them down on scrap pieces of paper (Once, I even used a paper towel!) But I have never intentionally written sections of my book longhand to transcribe later. I know many writers have this as part of their process, but I do not. Though I have to say, I got the chance to try it out at the writing retreat and I am now convinced that maybe those writers aren’t crazy after all. That there’s actually something to it and it doesn’t just create extra work. When I tried out this method, I noticed that I naturally edited my work during the transcribing process, which was pretty neat – I can now see why people write this way! Since Julian is such a tourist town, they actually lack the normal writer refuges: coffee shops and a library. I was still determined to bring my laptop along on this trip since I do prefer to write with it. But knowing I only had so many hours on my battery and that I wouldn’t be able to recharge it, definitely kept me motivated and on track. And with no Internet to waste time on, I definitely made the most of all of the minutes on my laptop battery! Overall, it was a great writing retreat. If anything, it was a little bit too short…I could have spent several more days on our retreat! But as most writers know, reality often knocks before the writer’s creativity is even close to exhausted. 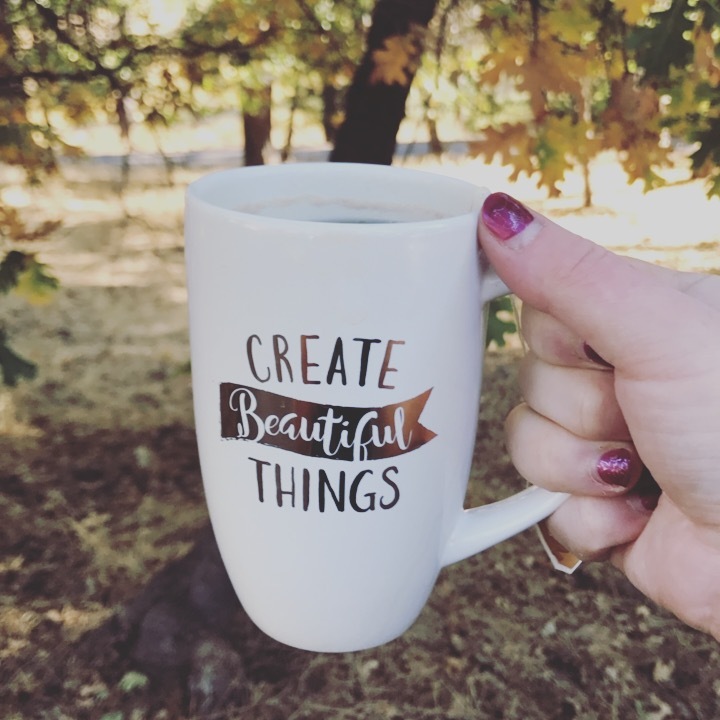 Have you been on a writing retreat this year? Where did you go? Let me know in the comments below!